$38.99 & FREE Shipping on orders over $59 $35. (Makes 5 Gallons) If you're looking for a great session pale ale this is your beer. Featuring the incredibly famous Citra Hops, we've packed this recipe with a hop bomb of floral aromas and subtle grapefruit flavors. This kit features 12lbs of Rahr premium 2-row, Crystal 15, White Wheat, Carapils dextrin malt for added body, and of course plenty of Citra hops for the ultimate in drinking pleasure. 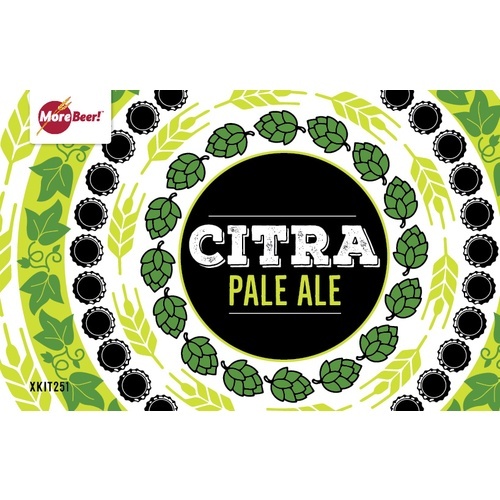 Get your Citra on! This is one of my favorite not too much alcohol . What Yeast strain do you recommend for this kit? BEST ANSWER: I am a huge fan of the Safale 05 for Pales and light IPA's. The dry yeast does not require a starter, and this brand does not even need to be hydrated. I have used it for years and not once has it failed to kick quick, eat fast and be ready to package after 2 weeks in the fermentor. The Safale 05 is super clean and allows the hops and grain profile to shine through. I'm about 1/2 way through my last batch of this. Made it with Wyeast 1056 and it turned out good again. Drops very clear and ferments out. I have also used the WLP001 which is now apparently replaced by WLP051 and it turned out very good too. I use white labs California yeast. Ferments clean and crisp. 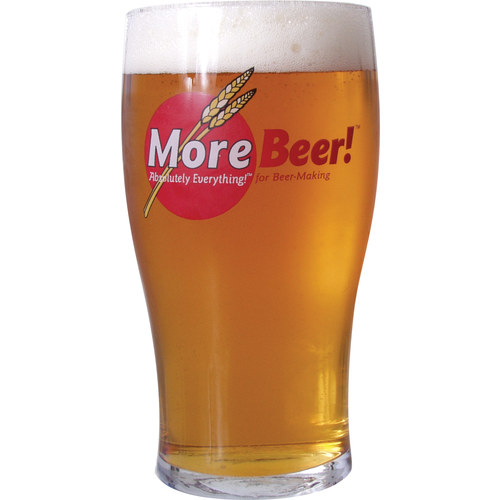 Great beer and easy to brew. Tripled the dry hop to add some more hop character. Delicious. Great tasting beer. Easy to brew. After drinking this beer, you will always will have the need to keep this beer in stock. Brewed twice, 1 extract 1 allgrain. Extract seemed to have a small bug in it, allgrain i had poor conversion. Still couldn't mess it up. Best of taste & aroma. Drinkable after only a few days in the bottle. Excellent beer recipe, year round. Good choice for allgrain newbies. Dirty beer while in process, but filter through nylon bag to botteling bucket won't be sorry. Have Fun!! Assume beer! Added it to the brew again list. This kit will not disappoint. This kit comes with instructions that has 10 lbs of 2 row, but the website say 12 and it was shipped with 12. Instructions say estimated original gravity of 1.050 to 1.055, but my inefficient system hit 1.073 with the 12 lbs of 2 row (more consist with the expected Gravity given the grain bill). It will be much higher alcohol than I expected, not that is bad thing at all, but I wish there was consistency in instructions and other info). We will see how it turns out. I had my eye on this one for awhile and it was seemingly always out of stock, so I was very pleased to be able to order and brew this one last month. I also added the rind from 2 grapefruits when I did the dry-hopping and man did it turn out great! Smells and tastes amazing. Taking it to a homebrew competition this weekend. brewed this for a pig roast. 5 gallons didn't last long! Added amarillo hops for the dry hop. really great tasting beer! One of my favorites. Made it once and decided to make it again. Damn, it's on backorder and the hops are hard to find. This one involves dry hopping and it is excellent. Very aromatic and tasty. $4 cheaper back in March. If you've ever wanted to get a feel for a strong but balanced hop flavor/aroma, this is the place to start. You have to get your hands on this beer. It has unique tropical hops flavors and fruity aromas. This is a perfect Golden Pale summer drinking beer. 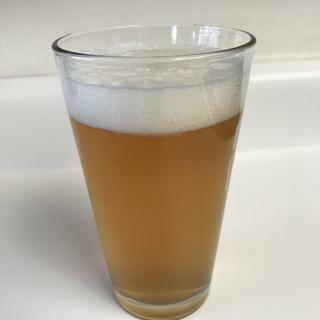 I brewed this beer for a local BBQ party and the keg was blown in a couple hours. If I could've given this six stars, I would have! This is one of the best kits that More Beer carries. 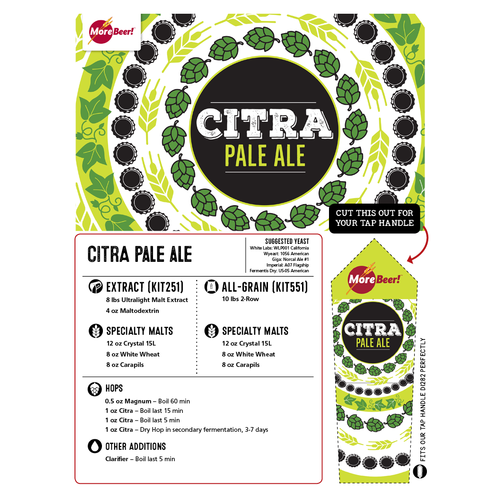 Great recipe to showcase the Citra hops. I can't get enough of this one! A must brew for sure! I'm sampling this one right now. First this was my first attempt on brewing it. Numbers came out right. 10 gallon batch, pre boil sg was 1.050 post boil was 1.062. with a 75 minute boil. 6.4 % and tastes about 40 IBU, much les than the 53 that beersmith says it is. I sure didnt age this one much. brewed on 2/12/13, primary was for 1 week, and secondary fermentaion for 10 days with citra dry hopped for that time. filtered down with 1 micron filter. Cracked the keg on 3/8/13. First inspection....color (canadian) is light side of amber more yellow to it. Carbed it to 12.5 psi. Nice head, 2 inches of foam in the glass. retention is good, not great. Smell is grapefruit! stronger than my pliney clone. Somewhat thick mouthfeel and a bitter fast clean finish in the back of the mouth. I might try it with a slice of orange....maybe, too lively. When i take a swallow I think of a hammock outside in the summer on a humid night. I'll make it again for the summer season. I really love this recipe. Simple but deeeelish! Brewed it 3 times now and will continue to brew it! awesom beer. to bad its always out of stock!